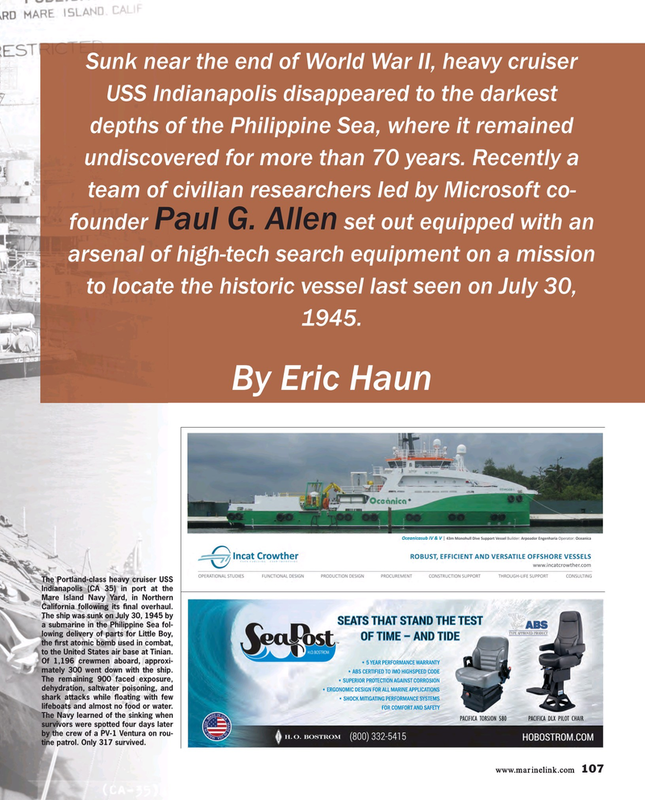 Paul G. Allen founder set out equipped with an arsenal of high-tech search equipment on a mission to locate the historic vessel last seen on July 30, 1945. California following its ? nal overhaul. The ship was sunk on July 30, 1945 by a submarine in the Philippine Sea fol- lowing delivery of parts for Little Boy, the ? rst atomic bomb used in combat, to the United States air base at Tinian. Of 1,196 crewmen aboard, approxi- mately 300 went down with the ship. The remaining 900 faced exposure, dehydration, saltwater poisoning, and shark attacks while ? oating with few lifeboats and almost no food or water.